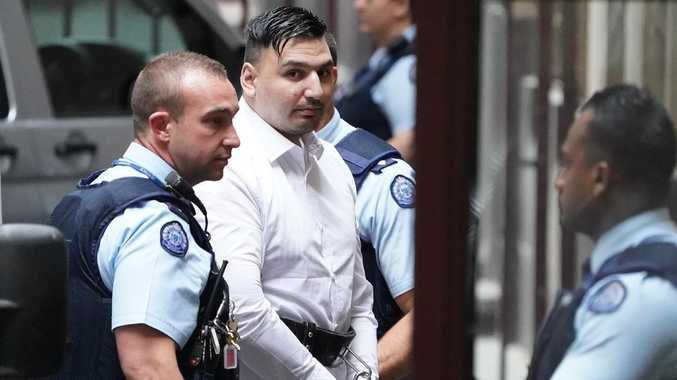 BOURKE Street killer James Gargasoulas has been jailed for life for what a Victorian judge called "one of the worst examples of mass murder in Australian history", but will be eligible for parole in 46 years. A packed Victorian Supreme Court, filled with family members and friends of Gargasoulas' victims, sat silently as the sentence was handed down. The 29-year-old, dressed in a white shirt, looked down as he was sentenced. Gargasoulas was convicted in November of six counts of murder for speeding through the packed pedestrian mall in central Melbourne on January 20, 2017, in a stolen car while he was high on ice and experiencing delusions. Among his victims was three-month-old Zachary Bryant and 10-year-old Thalia Makin. 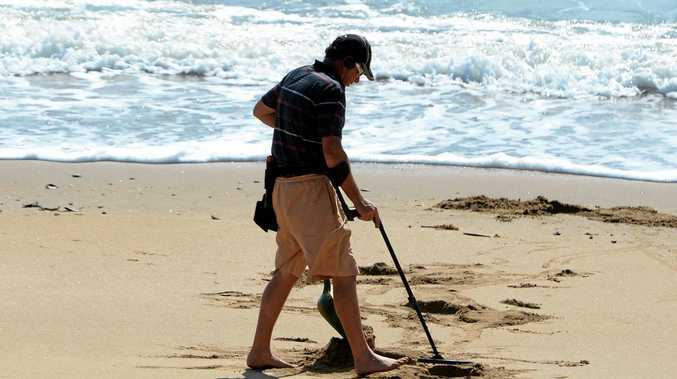 He also murdered Jess Mudie, 22, Yosuke Kanno, 25, Bhavita Patel, 33, and Matthew Si, 33. Judge Mark Weinberg read through details of Gargasoulas' offending on the day of the attack. He described it as "a terrifying rampage". "You murdered six young people, none of whom you knew, none of whom had done you any wrong," he said. "The horror of what you did has profoundly affected your victims." In sentencing Gargasoulas, Judge Weinberg said his crimes were "extraordinary" in nature and "there are few precedents to draw upon". The stolen Holden Commodore driven by James Gargasoulas. 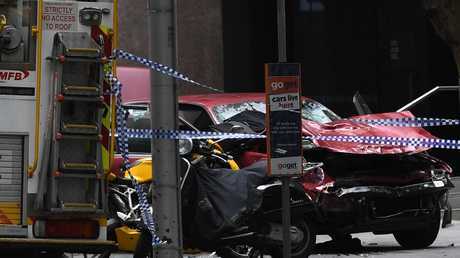 Gargasoulas was on bail and expected to appear before the Melbourne Magistrates Court on the day he drove out of control and at high speeds through Swanston Street and Bourke Street. He had previously told friends and family that if he was chased by police he would not hesitate in using his car as a weapon. At 2.50am on January 20, he told a friend at the Gatwick Hotel in St Kilda that he would "do something drastic". "I'm going to take people out," Gargasoulas said. "You'll see me tonight on the news." At 1.15pm, the police air wing observed Gargasoulas driving slowly but through a series of red lights in Yarraville, west of the city. Police on the ground were advised to follow the stolen red Holden Commodore at a safe distance. Gargasoulas drove across the Westgate Bridge to Flinders Street where witnesses filmed him driving in circles around the busy intersection while hanging out the window and taunting onlookers. 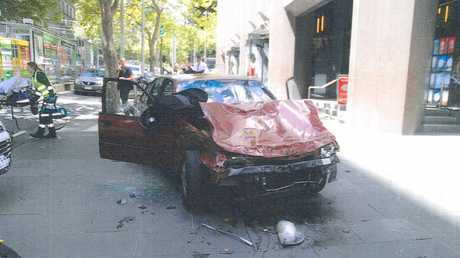 He sped along Swanston Street before turning left down the Bourke Street mall. There he aimed at pedestrians, striking 33 people and killing six. "Graphic CCTV shows you were in control of the vehicle," Judge Weinberg said. "You were able with some skill to manoeuvre between structures. You knew full well what you were doing. You knew you were likely to kill or seriously injure those in your path." Gargasoulas, who has been diagnosed with paranoid schizophrenia, was experiencing delusions that included the belief that a comet would strike the Earth and the world would end. In court last month, he read a two-page letter to his victims. In it, he claimed he was the "victim" and that he had "a big heart". But he admitted to deliberately mowing down his victims. "I went to the city to run people over," Gargasoulas said. 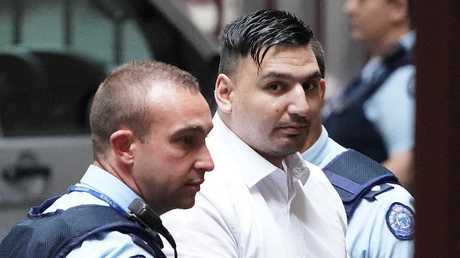 The 29-year-old stood in the Victorian Supreme Court and told victims he was "not a terrorist, but a freedom fighter". He said he was a "Messiah" and would happily accept life in prison without the possibility of parole because "judgment day is around the corner" and "a comet will pass the Earth and burn this side of the globe". "To all the victims ... I apologise from my heart for taking the lives of your loves ones," he said. "I know it won't fix what I've done. I didn't think my life would turn out like this. I also apologise to the many injured. I am deeply ashamed. It is a tragic day for all of you and myself." But he then told families and friends of the deceased that he is the real victim. "I am a victim of government oppression. It is because of oppression that six people died. Oppression is the root cause of terrorism and crime. "The government should take all responsibility. I am not evil, I am not a terrorist. I am a freedom fighter." Victims used the pre-sentencing hearing to talk about their heartache after the attack. The parents of Zachary Bryant described the devastation of learning their son, who had been with the family nanny, was among the victims. "Zach was unresponsive, surrounded by doctors and hospital staff," Matthew told the court of the moment he saw his son. "All I could do was pray. Pray for a miracle but in my heart I knew my son had left us." The couple was told their youngest child would not survive. The decision was made quickly to take him off life support. "My Zachary was gone," Zachary's mother Nawwar said. "My beautiful, innocent, perfect baby was gone. I watched his little chest stop moving as he lay in my arms. He was still just perfect." James Gargasoulas arrives at the Supreme Court in Melbourne in November. James Gargasoulas will not be eligible for parole until 2063. In one of the city's darkest days, Gargasoulas used a stolen car to mow down and kill six people in the busy Bourke St mall on January 20, 2017. His victims included three-month-old baby Zachary Bryant, who was thrown 60 metres from his pram, and 10-year-old girl Thalia Hakin. But in November it took a jury less than an hour to unanimously find him guilty of the six murders and 27 counts of reckless conduct endangering life. An earlier jury found Gargasoulas, who suffers treatment-resistant paranoid schizophrenia, was fit to stand trial.